Every year the Town Council distributes its Grant Aid. The aim of the Town Council's Grants Scheme is to promote a vibrant and active community in Bognor Regis. The scheme recognises and supports the valuable contribution made by the voluntary sector to the well being of the community. It provides financial support for community organisations working for the benefit of residents, with the intention of improving the range of services and activities in the Town. Grant Aid 2019 is now closed to applications. Applications that were received before the deadline of 5pm on Friday 28th September 2018, will be presented to the Policy and Resources Committee, for consideration, at their Grant Aid Meeting to be held in the Council Chamber at 2pm on Monday 19th November 2018. Decisions taken by the Committee at the meeting will be publicly available once the Minutes of the meeting have been published. Successful applicants will be informed in writing in due course. Each year, recipients of a Town Council Grant Aid Award are invited to attend a civic event at which they are presented with a cheque for the funding amount awarded to them. The Town Mayor, Councillor Phil Woodall, held a Civic Reception on Friday 23rd March 2018, as his year in office drew near an end. The event was kindly hosted by Butlin’s Bognor Regis Resort with sincere thanks and gratitude paid to Mr Jeremy Pardey, Resort Director. As usual, the evening was attended by many invited guests including local organisations, charities and dignitaries. Live music was provided by the thoroughly entertaining and energetic RAFA Club Skiffle Band, with even the Mayor joining in with his tambourine. 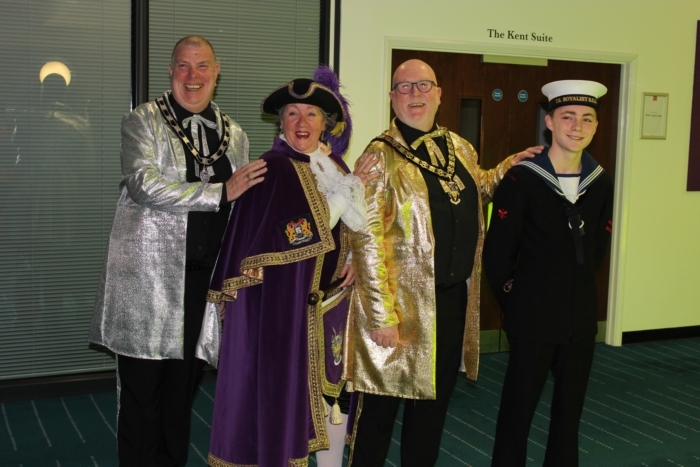 Guests on the night were hugely supportive of the Mayor’s charities: Alzheimer’s Society and Epilepsy Action, by purchasing raffle tickets for some top prizes, including an annual family pass to Butlin's. The raffle raised over £280.00 and thanks go to all those who donated the prizes. 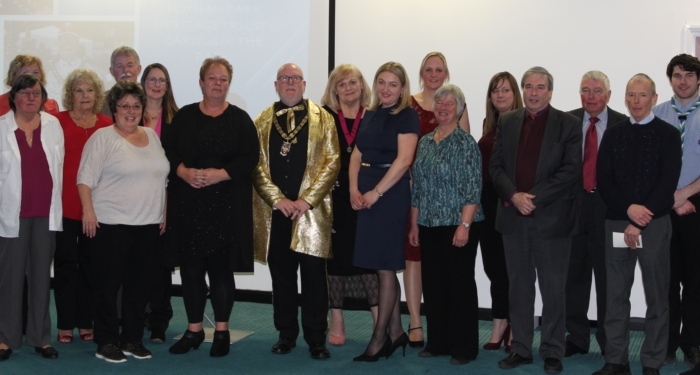 The highlight of the evening was the presentation of cheques, amounting to just over £35,000 to over twenty local organisations that had successfully applied for a Grant Aid Award from Bognor Regis Town Council. This money will provide funding for a huge range of requirements that will enable these groups and organisations to continue delivering the vital services, and exciting events and opportunities, to the residents of Bognor Regis and the surrounding area.